And you’ve come to the right place. Let’s face it… it’s tough out there. And while business people like you, understand that you need every competitive advantage you can get, you’re already stretched too thin and wearing far too many hats. Given this, the last thing you need is more stress… especially when it comes to your company’s vitally important wifi network. That’s why we’re thrilled to offer you Zebra’s Azara – the most scalable, flexible, and adaptable cloud-managed networking system on the planet! 99.9% Available and Reliable: Azara’s cloud-based infrastructure is hosted in multiple HIPPA & PCI compliant data centers to ensure maximum availability and redundancy. What’s more, out system is monitored for optimal performance 24/7, which means you’ll never have to worry about costly downtimes. State-of-the-art Security: You’ll connect to Azara using our highly secure SSL Internet tunnel, so you’ll never have to worry about your network being compromised. Mobility and accessibility, anytime, anywhere: You can manage all of your networks and sites around the clock from one dashboard, using a secure password-protected login and Internet connection. Instant Scalability: Because access point add-ons “happen” in the cloud you don’t need to purchase additional costly and bulky hardware. What’s more, you can expand your system in minutes, not days. Want To See Azara In Action? Compatibility: Because we utilize the world’s most advanced wireless networks and enterprise-grade access points, you’ll enjoy seamless compatibility with all of your mobile devices on- or off-premise. Affordable, no-surprise pricing. Unlike our competitors, we won’t tie you to any onerous contracts or frustrate you with unexpected expenses. Rather, you’ll be charged an affordable and predictable subscription-based monthly fee. Period. Durability and sustainability. Our highly sophisticated and resilient site network means you’ll never have to worry about service degradation in the event of WAN failures or connectivity loss to the cloud infrastructure. Best-in-class industrial wireless connectivity. Azara’s high-performance WiNG 5 wireless networking stands up to even the most demanding connectivity challenges and makes frustrating outages a thing of the past. 1. Most Affordable AP 7522: Our least expensive access point option comes complete with the latest high-performance dual radio 802.11ac at an 802.11. 2. High Performance AP 7532: An ideal option if you’re looking for large capacity, highly secure and optimal performance APS. 3. Specialty AP 7502: Our most compact access is 40% smaller than its nearest competitor, but it still delivers big performance. 4. Outdoor AP 7562: This is access point is ideal for the harsh outdoor environments and challenging sites. So why wait any longer to put Zebra’s Azara to the test? After all, you’ve got everything to gain and absolutely nothing to lose! 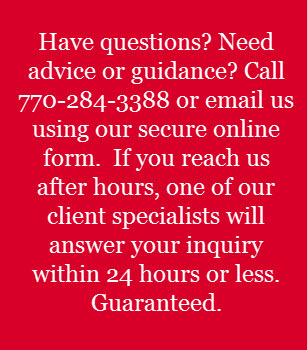 Call 770.284.3388 or email us today. It’s that simple.